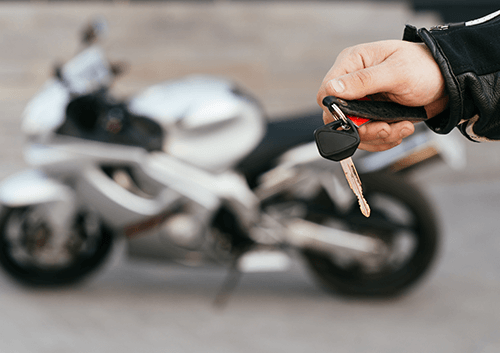 Every biker knows that keeping on top of your motorbike maintenance is an essential part of being safe on the road, but it is also an important part of getting a good valuation for your motorbike when the time comes to sell it on. The condition of a motorbike, both in terms of appearance and also the mechanics of the machine can impact the value considerably as a quick check on a classified website will tell you. As you’d expect, newer motorbikes are generally worth more than older ones, but you can also see a big difference in price within a single year dependent on the condition – a 2006 motorbike in excellent condition is worth more than 50% more than one described as standard! 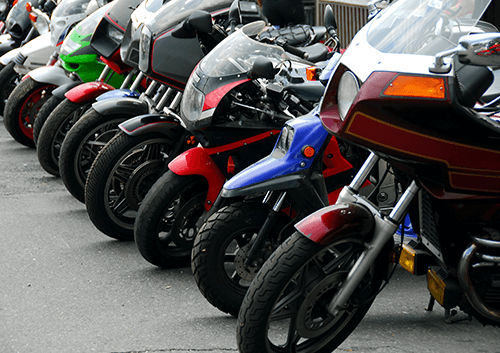 Whether your goal in selling your old motorbike is to get some money toward a newer motorcycle, or you simply want to free up some cash, it makes sense to do what you can to get as much money as possible when it comes time to sell. The first thing a potential buyer will look at is the body work on your bike. Scuffs and scratches are a massive turnoff for people and will always raise questions about how they got there. Get a professional to respray any paintwork that needs a touch up and ensure that any components of your fairing that are cracked are replaced. Touch up the ends of your brake levers too, as these are a common place for scratches from road debris when you’re riding, but can make the motorbike look scruffy. You might well check your motorbike every time you ride it and change the oil regularly, but unless there are records to back that up, it’s not going to have a positive impact on your valuation. Get your motorbike professionally serviced every 6 months at a main dealer, and you will have a stamped log book to hand over with the motorbike when it’s time to sell. 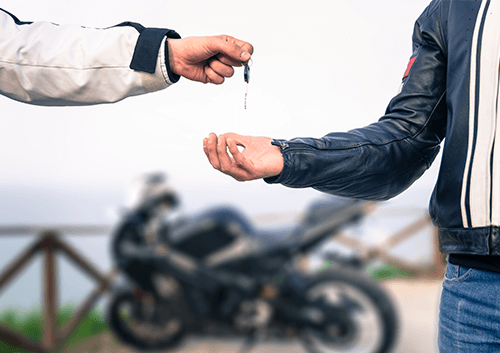 This will have a big impact on how saleable the bike is and although it will cost you during your ownership, it gives peace of mind to the buyer. Your regular service will take into account things like tyre wear and brakes and you’ll be able to use these as a selling point. That performance might give you an extra few horsepower on the road and make your motorbike sound cooler, but it won’t help with the value. If you do want to customise the motorbike to your own needs, be prepared to take a hit on the resale value. Alternatively, keep the factory parts on hand so that they can be fixed back on the motorbike prior to sale. You’ll add considerably to the value because stock motorbikes are always more desirable. When you first got your motorbike license, your instructor probably talked you through a pre-ride ritual to ensure that your motorbike stays safe. This is also important for motorbike maintenance because it will generally throw up any problems before they become expensive. All of the above are really easy to do before a ride and will usually give you a warning if there’s going to be something that needs professional attention. A chain snapping will not just mean a new chain – it will likely damage your bodywork and wheels too, which will be really expensive to fix and have a big impact on resale value. Aside from the fact that no-one wants to be seen on a dirty motorbike, grime can both cause and hide problems with the bodywork. Give your motorbike a regular clean with a soft cloth and washing fluid to avoid getting any stains on the plastic trim. This will also help to prevent corrosion of key metal areas. If you want to get the best possible value for your motorbike, strive to keep it in the best condition possible with regular motorbike maintenance. While it’s not realistic to hope to keep your bike in showroom condition forever, aiming to keep it as close to excellent as possible will help to secure the best possible price when you’re ready to sell, and could make a difference of several hundred pounds to what you’re offered.